With any operating system from time to time may occur certain problems in the work. Regardless, you are still the good old Windows 98, or newest to date Windows 7 you have, for sure, there were glitches in the system. For example, the situation when you remove the recycle bin from the desktop is probably familiar to many. The reasons can be several. The same system fault or negligence of the user who accidentally deleted the recycle bin from the desktop. - A computer running Windows (XP, Windows 7). If you have the Windows 7 operating system, and the recycle bin on the desktop is missing, do so. For the inactive area of the desktop, click the right mouse button. A context menu will appear. In this menu, select "Personalization". Will appear the configuration window of the interface of the operating system, which is in the upper right corner click "Change desktop icons". There is the additional settings window. 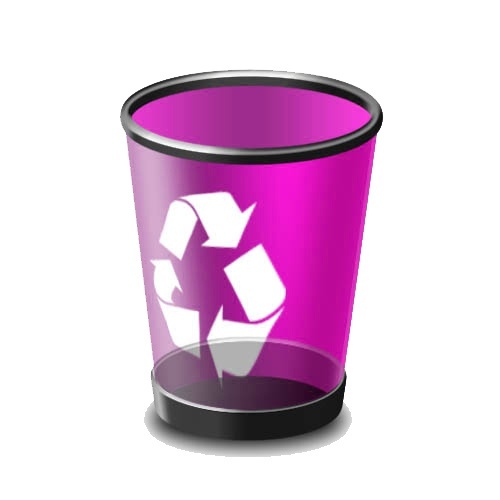 In the section "desktop Icons" check "recycle Bin". After click "Apply" and save settings by clicking OK. Now previously remote shopping cart will be displayed again on the desktop. For owners of computers with Windows XP operating system will be a way to restore the recycle bin on the desktop. Click "Start". Select "Run" and type in it gpedit.msc. A window will appear in which the second section is called "user Configuration". In this section, select the Administrative templates. On the right side of the window, double-click the component "desktop". Then again double click the mouse on the option "Remove recycle bin icon from desktop". After that, check "Not configured" and hit "Apply". Close all active Windows and restart the computer. When it restarts, the basket will again be available on the desktop. If the previous method did not help you, you can just create a shortcut to the recycle bin. Open "folder options" and select the tab "View". Then uncheck the box next to "Hide system files". Then on the toolbar click "Folders". Then in the appeared list find "Trash" and drag it to your desktop. After the label of the basket will be on the desktop, make a folder system hidden again. To do this, check the box next to this item back. If you didn't remove the basket yourself, but it disappeared from the desktop, then most likely it is a virus. It is recommended to check the system for malware.